Enjoy the best inspirational, motivational, positive, funny and famous quotes by Anna-Louise Plowman. Use words and picture quotations to push forward and inspire you keep going in life! 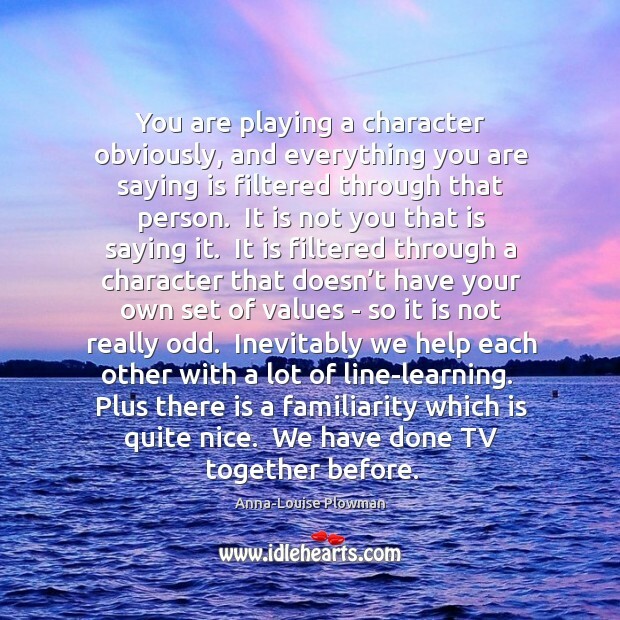 You are playing a character obviously, and everything you are saying is filtered through that person. It is not you that is saying it. It is filtered through a character that doesn’t have your own set of values - so it is not really odd. Inevitably we help each other with a lot of line-learning. Plus there is a familiarity which is quite nice. We have done TV together before.